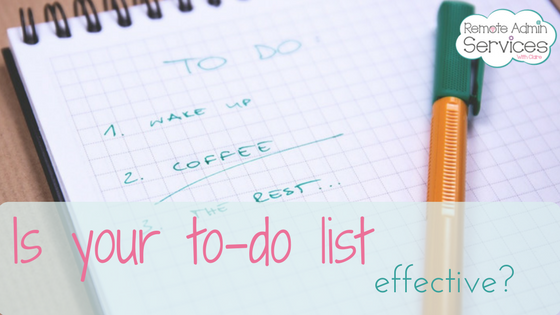 Is your to-do list effective? We all have them, they are dotted all around my house and office, but the question is how effective are they? Are they serving their purpose or are then hindering you more than you realise? See on their own the whole concept is great, but often we do not use them to their potential! List writing is really easy to do yet can be so tricky to get the hang of, we all have a habit of scribbling down the things that pop into our minds on a piece of paper, or a new log if using an online system, but doing this we are not giving it a second thought, I know some of my entries will have a handful of words that mean something when writing it, but hour or days later I haven’t a clue! And here is one of the problems, we are not being clear, concise and logical. Keep it visible – keeping it somewhere in view will help you stay focused on the job in hand, make sure that you review your list regularly too, don’t bury it and then not being able to find it, then having to start a new one, have it pinned somewhere you can get to it quickly. 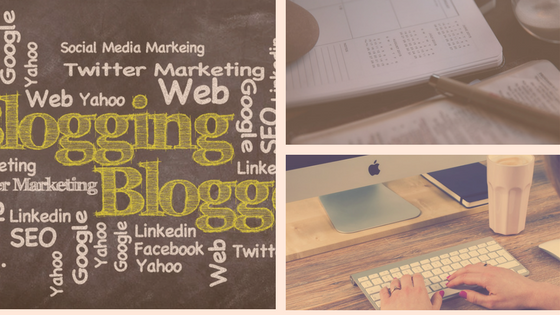 Larger tasks – it is so easy to put something like “social media” on your list, but in fact that is a massive task, and probably when broken down its several tasks, try and break down the larger tasks into smaller, easier tasks, this way you will be able to cross this off quickly, as opposed to never or taking longer to cross off, which in turn just demoralises you. So put “Facebook posts” “Participate in a twitter hour” “run a competition” see that way you will cross those 3 things off yet you may have more to do another day. Not everything needs to be done in a day – remember Rome wasn’t business in a day, so create your list to run over a week, then you can run those bigger tasks over the week, but still be able to cross things off as the week goes on. Finally, find a list system that works for you, there are thousands of options out there, from pens and pads, Apps, books, list pads, you name it there is a system. Find what works for YOU!! By all means grab snippets from other people you speak to, in fact, you could incorporate bits from others into your own system. It’s what works for you. I have tried loads, but for me currently, I use my Outlook calendar, in here I have a list of things that need doing, they are colour coded by client, and they are given a date of when it needs to be done by as well as a % of job done option. This currently works for me, but I am always looking at new ways, once you have found your way, don’t be frightened to mix it up in the future if you feel it is going a little stale. Let me know what way you have chosen to try out. Being a business owner comes with many hats and guises, you have to dig deep to get done what you have to get done, and even deeper when it’s something you just don’t want to do. 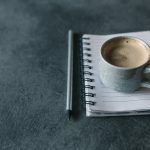 Have you found yourself writing list upon list of things that you have to get done on a certain day/week? I know I have and have often failed to cross much off due to daily distractions. If you are lucky enough to be working away from home, then those distractions maybe less (I say maybe in a light tone), I know for me I work from home, and I use to have a million distractions in my working day, from my online shopping being delivered, the odd person who sees my car on the drive and pops in for a cuppa as I’m home (forgetting that my home is my office), housework, and the biggest distraction is the kids! I am fortunate enough now to have my office out in the garden, so I am away from those daily household distractions. I now have my set working hours each day of the week, and I now have a set period of time each week that is focussed on my business, but as you know working from home you can’t help yourself but get distracted. This is where self-discipline comes into play, what can you do to stop yourself being distracted, how do you get that discipline into your working life? * ‘Distraction Free Time’ Try and block 20mins a day, or better still 20 mins in the morning and 20 mins in the afternoon, set that time as pure DFT time, turn your phone to silent, turn off the programs you are not using, those pings and little red notification dots are hugely distracting, and one that needs to be removed from your DFT block. It’s something about your phone and those notifications that can waste a lot of your working day. So for this time that you block out its best to remove the temptation. * ‘Natural productive time’ everyone has it, I am not a morning person, if my children wake me too early I go green! so setting my alarm to wake before the kids to do work it’s just not in my DNA, but I am a late person, so for me my most productive time of the day is evenings, I find that knowing the kids are fed and in bed, we have had dinner, there are no further distractions (apart from The Walking Dead! ), so I know that its head down and get on with my work. This is MY natural productive time, I do however get lots done when they are at school. But my content is normally written of an evening when my productive time is at its best. So you need to find out when you are at your most productive! you might be that person that does love that hour before the house wakes up if so you need to incorporate it into your working day. 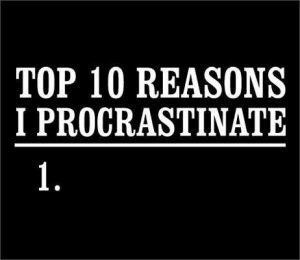 * Procrastination! Ok, I am going to jump outside the box on this one, and instead of saying it’s bad it’s this and it’s that, I will simply say embrace it! Shock Horror!!!!!! why embrace it, well I find that if you can pinpoint what it is that makes you procrastinate, once you have figured out why you can almost learn how to deal with it. For an example, I hate anything accounts based, so I often find when I’m sat here having to do that type of work it takes me much longer to do it, I keep trying to put it off, in hope that the accounts fairy will come along swish her wand and hey presto it’s done or failing that tomorrow it will become more appealing, which sadly neither happens. So I have now learnt to schedule it into either my DFT or do it during the evening when I’m at my peak of productivity. Don’t shy away from those jobs that make you the world’s greatest procrastinator! We are all procrastinators, it happens to all of us at some point during our week. If they are jobs you have to do find the best time to do them, or failing that outsource!! * As I happened to mention ‘Outsource’ this is something else that can benefit you and your self-discipline, if you can offload work to someone else this will free up your time to do what you are good at in your business, but you have to be disciplined to outsource, you need to figure out what is taking up too much of your time, and find someone you can outsource to like a VA, but you need to be strong and let that person do what you have given them!!! 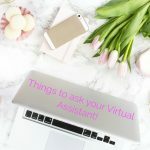 If you are wanting to outsource but haven’t a clue where to start, then check out my free download, this gives you the top things to ask a potential Virtual Assistant, we know what it’s like when you get on the phone, those questions vanish, and when you hang up you remember! Be strong, stay focused and remember this is your business, run it the way you want to run it, but get the best out of your time, hopefully, some of the above tips may help. What tips would you offer a new business owner? what have you found has worked for you? 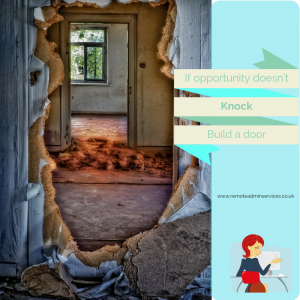 Leave a comment below you never know it may just help a newbie in their self-employment dream. Dear Claire, Here at XYZ Ltd, we like to keep on top of the latest trends to grow our business, with this in mind HR and your Line Manager Mrs Blog feel that you would benefit greatly by attending the 2-day intensive course. Do you remember getting those through, and how the thought just filled you with sheer boredom! I remember them well, and for me, it was things that I had no major interest in but it was to the benefit of the company more so than me. On the week running up to this 2-day course you would have to cram all your workload into a couple of days to cover you being out of the office, and then off you trot to this course that was always miles away, participate in the breakout sessions, lunch with random’s and stuck travelling home again to have to do it all again tomorrow. Why is it different now? So you are sitting there wondering why the heck have I titled this ‘Learning something new’ well you see this time you are learning to benefit YOU and YOUR business, I know it sounds selfish and probably ungrateful that any of my employers paid out money for me to attend these training courses, but learning something new now as a business owner, is something that interests you, and let’s face it, if you have to sit there and learn at least learn something that you want to learn. I vowed to myself this year that I was going to learn a new skill or perfect an old skill each year, or if I am lucky maybe 2 new skills, this will not only benefit me but my clients too, I have since started my own business gained experience in many new fields, ones that I had no clue on as previously I would have had a department to call to sort the problem out. So ask yourself a question, if you could learn a new skill or perfect an old skill for your business this year what would it be? For me, I want to get to grips with basic photo/video editing, I have started to incorporate video marketing into my business as I feel this will help me get a step up in the small business world, as we as humans are so visual, we like to see or watch something over reading 80 pages of the same content, it’s just how we are. Tell me in the comments box below what would you like to learn this year? 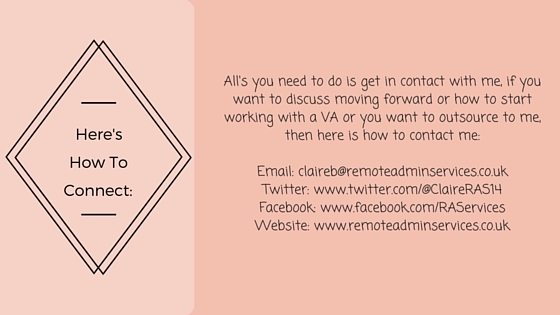 Don’t forget if you are struggling with your admin, or have tasks that you really just don’t want to do, why not contact me and see if I can help you. You never know we could plan your future success together. 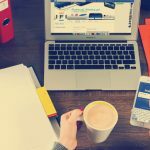 Also, why not sign up for my downloadable freebie, ‘Top tips for delegating to your Virtual Assistant’ a quick guide of an easy way to let go of some of your precious work.